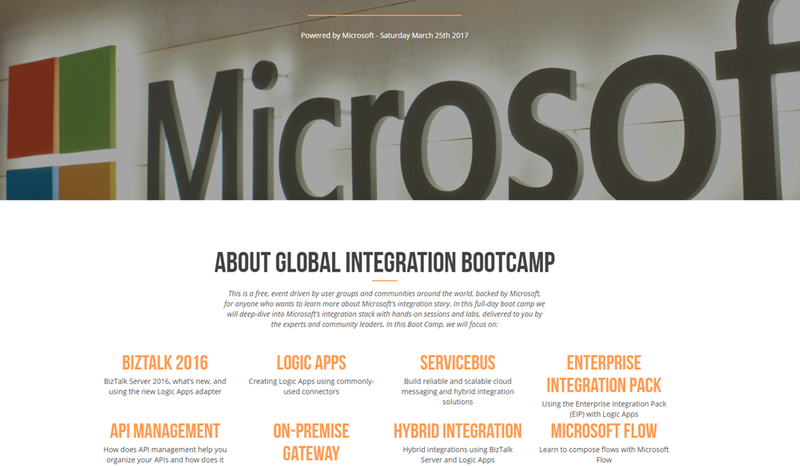 On a previous episode of #MiddlewareFriday I talked about a global integration event occurring on Saturday, March 25th 2017. Happy to announce that I will be speaking at the New York meetup which is being held at the Microsoft Technology Center near Times Square. This is my second opportunity to speak at the MTC and am very much looking forward to it. The FREE event will take place from 8:30 am to 5 pm and registration is open. VNB Consulting is hosting the event and I would like to thank Amit and Howard for inviting me to speak. 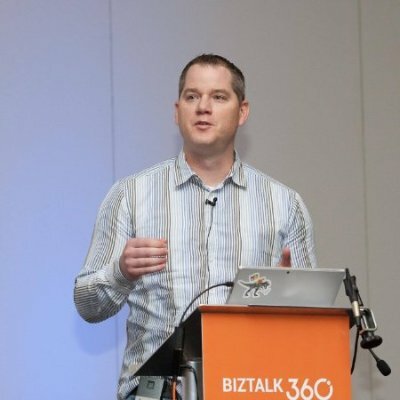 My topic will be on protecting Azure Logic Apps with Azure API Management. I will be using the new Azure API Management Design Surface, so even if you are very familiar with Azure API Management, you will learn something new. The event is also taking place in 9 other places simultaneously worldwide including Australia, Belgium, Finland, India, New Zealand, The Netherlands, Norway, Portugal, Sweden. You can find more information at the bootcamp’s website.